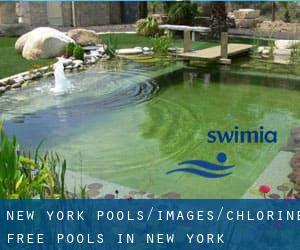 Looking for Chlorine Free Pools in New York? Several of them belong to gyms or sport centers which also supply lessons. Please check the nearest Swimming Pools or Contact us to ADD IT. It's no cost! Please contact the facilities to check which activities are offering and their timetables. Thanks to some new Chlorine Free Pools in New York submitted daily, Swimia.com is increasing day-to-day the number of stored pools. Please don't hesitate to contact us when you find any inaccurate or incomplete data. Are you on holiday and desire to keep fit and healthy? Swimia.com offers you the straightforward and quickest technique to locate pool near New York. Traveling to New York? This is the right spot on the internet to find places to swim in New York. Each day you happen to be not swimming you are losing precious time to improve your expertise a be a superior swimmer! No a lot more excuses!. Without a shadow of a doubt, swimming in Bronx could be the best strategy to unwind after work. Take a couple of minutes to browse Swimia's catalog to find a Swimming Pool in Bronx. It's difficult to visit New York without having dropping by Brooklyn (with 2.300.664 residents). Currently Swimia is showing you all the Pool in Brooklyn and the closest pools located in its vicinity. Let us tell you a secret to switch off even though you are in New York City: just decide on a Pool in New York City and plunge into the water! There's no far more effective approach. Swimming is a exceptional idea to keep your body active for the duration of your visit to Queens (New York), or even if you are a local. Swimia helps you to find your closest Pool in Queens. 290 West Avenue , Saratoga Springs , NY , USA (Postal Code: 12866). Among all the activities offered by the center, if you are enthusiastic about swimming you will get pleasure from 25 yards, 8 lanes, Non-Chlorine Sanitized, Indoors. Just in case you desire to get in touch with this Swimming Pool before dropping by, we only know the phone number.